I tried these stretches as I read your post. I am amazingly stiff. I'm going to try this more. I really think it helped by sciatic issues. Thanks for the post. Enjoy the rest of the workshop! Thanks for sharing. 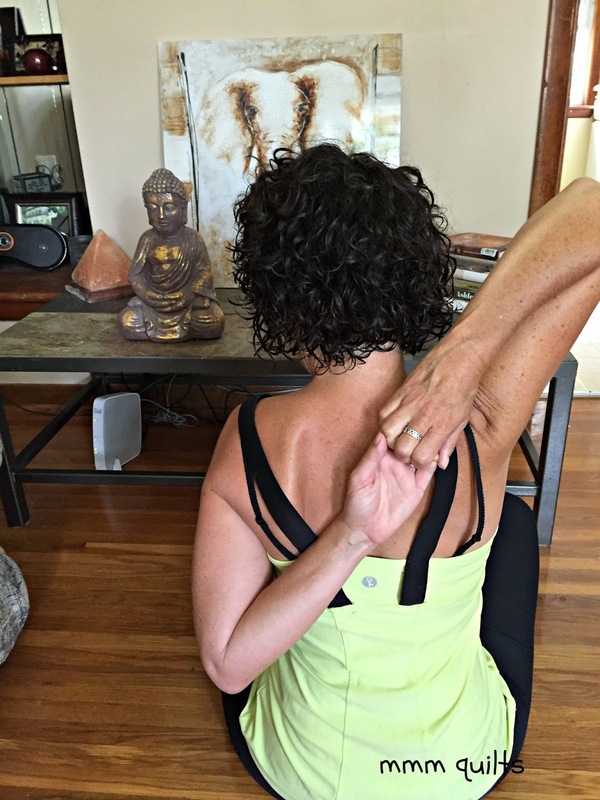 I know I need to stretch a lot more than I do. 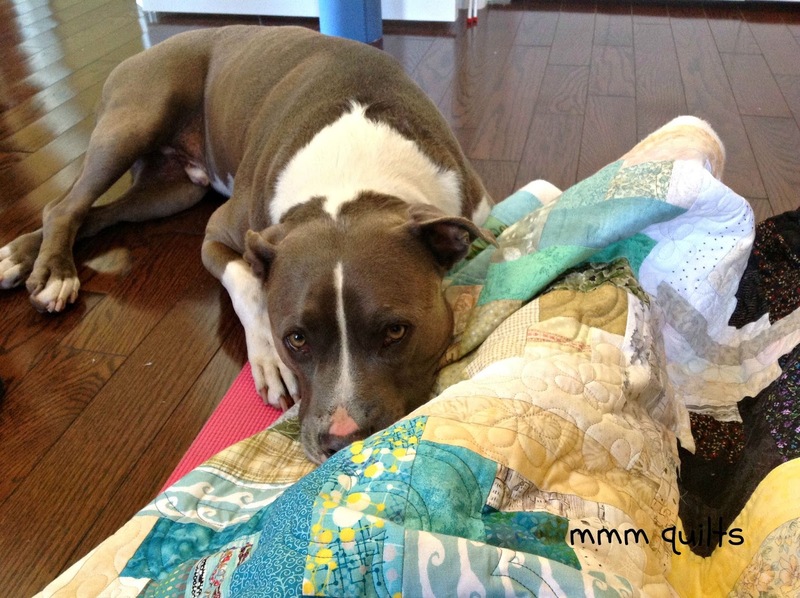 Rocco looks comfy snuggled up to that lovely quilt...I can't wait to see it all! 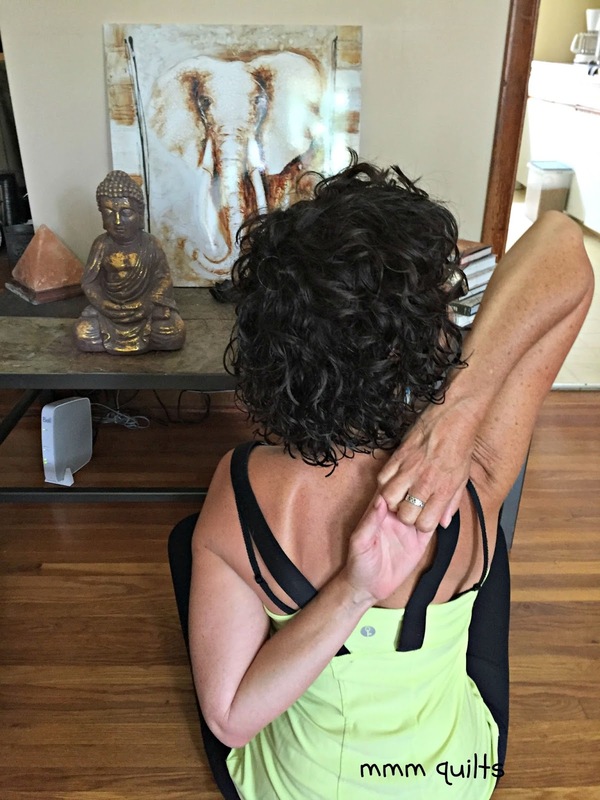 I love this stretch but have never turned to look at my elbows... I will definitely be giving this a go! This sounds like a great stretch. Will have to give it a try. Hope you had a great time at your yoga weekend. I really need to loosen up. Occasionally I go for a massages and I'm always told his stiff my ahoukders and back are . Thanks for sharing these Sandra. Like everyone I need to stretch the arms and shoulders. Partially from sewing but also from my job. Thanks for making this so accessible. I just tried it and it felt so good. Thanks! And I am so looking forward to seeing more of your minky backed quilt. 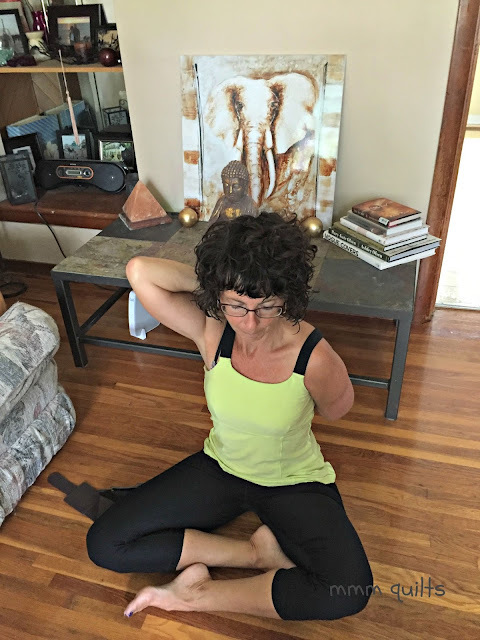 Just reading your post and seeing the pictures really relaxed me, It was just great to imagine stretching considering my arm is in a huge cast right now. Aw Man! Sandra you have found your calling for us quilting bloggers! I was just telling Kaitie how you do these posts. She just began Yoga classes for pregnancy. LOL - Judy's comment really cracked me up because I thought the same this regarding the strap length. Goodness i would need a foot long one at least.